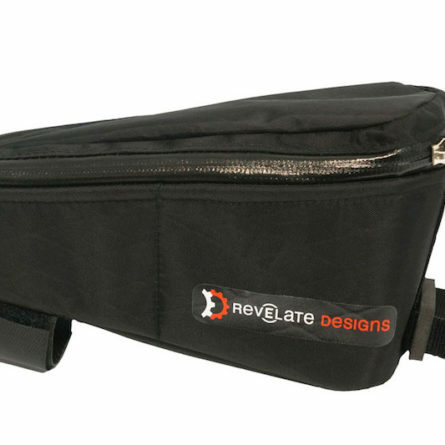 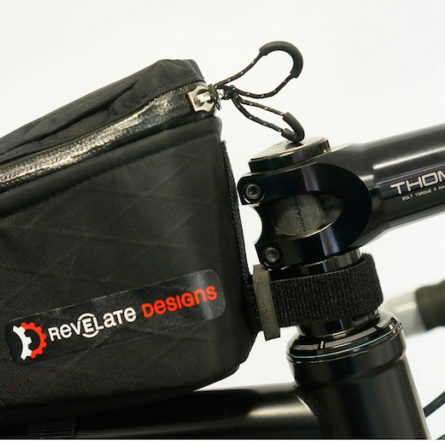 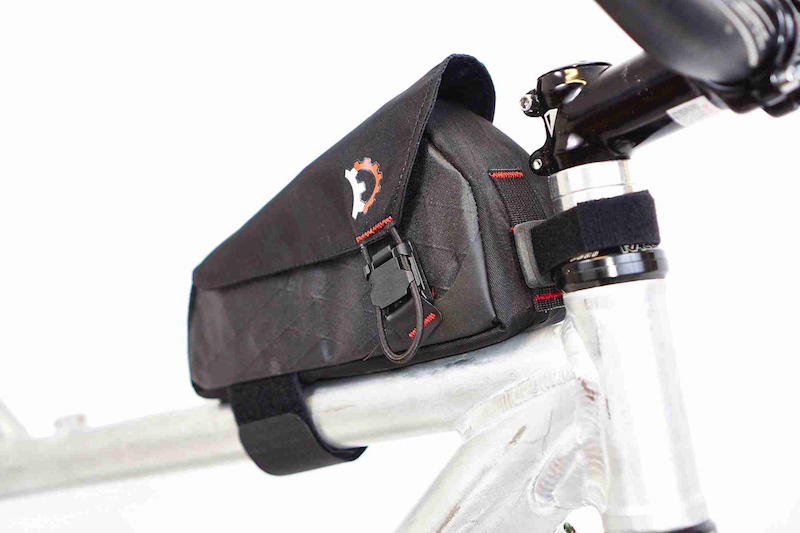 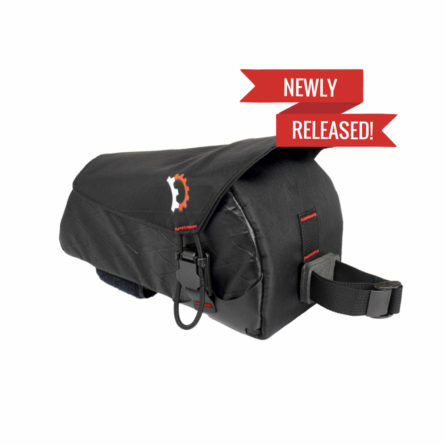 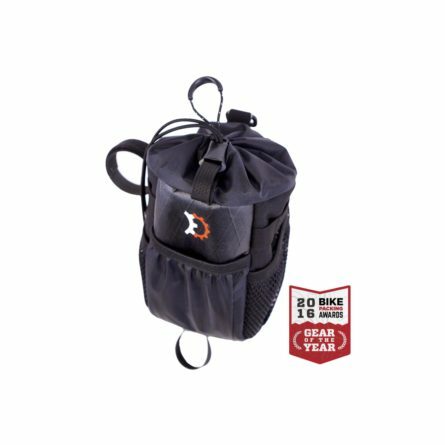 Revelate Designs Mag-Tank™ takes a new twist on top tube bags. 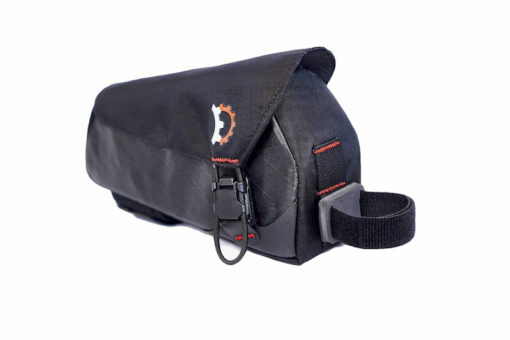 Instead of a zippered opening, access to the bag is by a smartly contoured top flap held in place by a magnetic buckle with mechanical engagement (read – the magnet aids in closure, while load is placed on a connection). 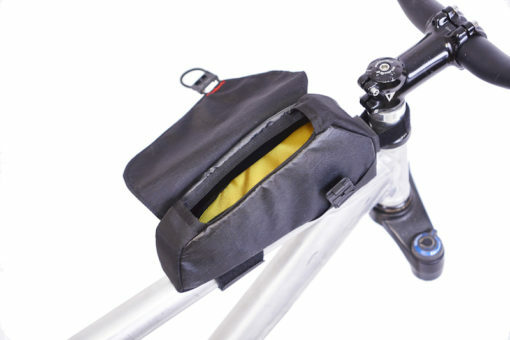 It will not unintentionally open and spill your gummy bears when you end up in the trees with your bike upside down like a conventional magnetic closure would. 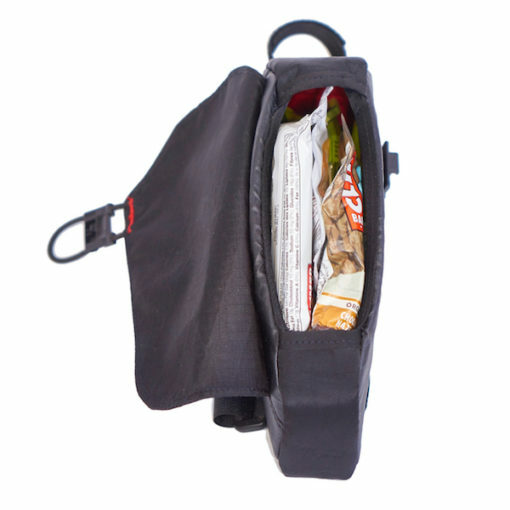 You can easily open the bag one handed by pulling outward on the cord loop and you have access to the whole top of the bag. 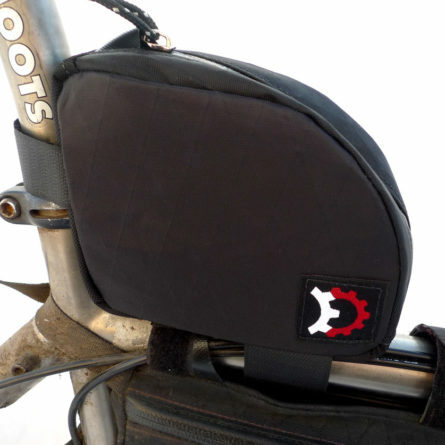 To close, just flick the flap down and the buckle self-engages! 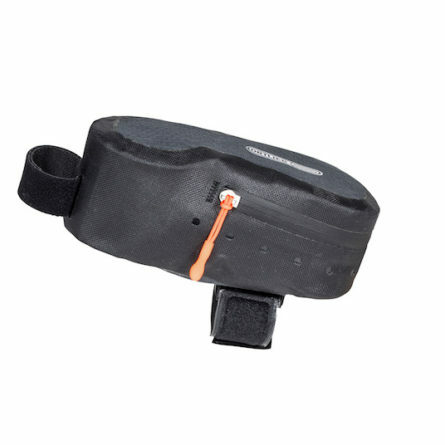 Compared the Gas Tank, the Mag-Tank™ is just a hair smaller to prevent leg movement from hitting the edge of the flap opening. 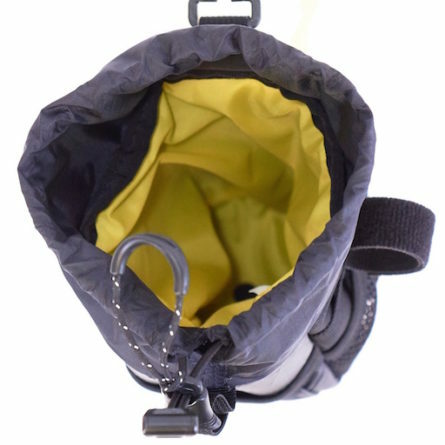 Please note – while the cover to this bag is designed to shed rain and spray, due to the large panel opening it is not a sealed bag or waterproof bag. 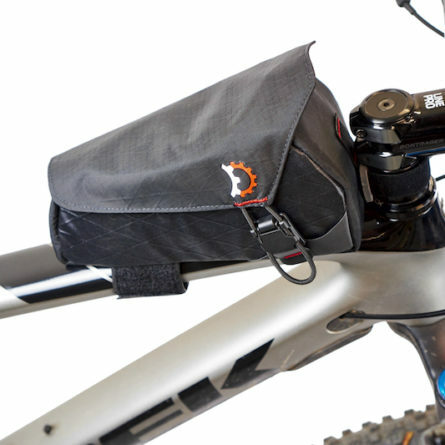 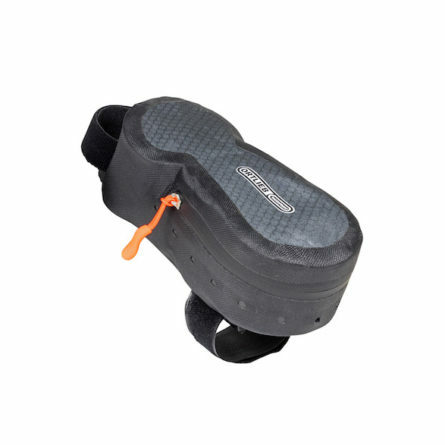 Note: Although the closure is secure – due to the flap style opening there is the possibility that small-loose objects can come out of the bag from rough trails and lying the bike on it’s side. 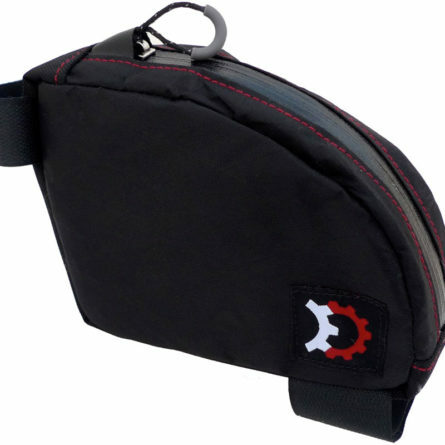 We reocmmend putting things like single keys and M&M’s in a ziplock.